July is a big month around these parts. Aaron and I celebrate our four year anniversary this month and just a few days later we'll celebrate both of our birthdays. Our birthdays are only a day apart so the celebrations just role into one giant two day celebration which makes it all the more fun. We're turning 28 this year which feels like a big one since I definitely can't say I'm anything other than late 20's now. Put Frozen on because this girl is headed for a meltdown. Note: I'm acknowledging that was a terrible pun and so not intended. I meant put on a cartoon so I don't feel so old. Later in July, Aaron's little sister is coming to DC to visit almost a week (woohoo!) and I'll start traveling again for work. Included in my travel for work is a week in Vermont for a professional development conference with two of my closest friends at work-- how amazing, right? Has anyone been to Vermont in July? I've heard it is beautiful! I really cant wait. Between my travel schedule and Aaron's case schedule, we don't have much time for an extended summer vacation. We're hoping to take a weekend trip just to get out of the city for a bit. Just 48 hours outside of the Beltway makes a world of difference to us so we're hoping for some R&R just the two of us. 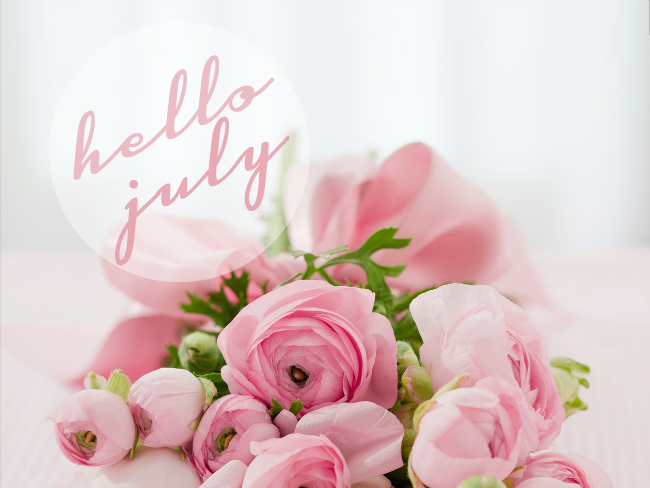 Bring it on, July, You are the best month of the year. Brian has been to Vermont before but I haven't. I want to go so badly - it's high up on the list of places I want to travel to!